The reasons behind Hitler's invasion of the Soviet Union are well known, but what about those of the other Axis and non-Axis powers that joined Operation Barbarossa? Six other European armies fought with the Wehrmacht in 1941 and six more countries sent volunteers, as well as there being countless collaborators in the east of various nationalities who were willing to work with the Germans in 1941. 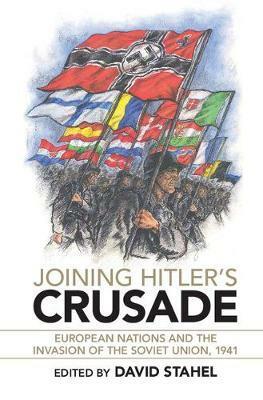 The political, social and military context behind why so many nations and groups of volunteers opted to join Hitler's war in the east reflects the many diverse, and largely unknown, roads that led to Operation Barbarossa. With each chapter dealing with a new country and every author being a subject matter expert on that nation, proficient in the local language and historiography, this fascinating new study offers unparalleled insight into non-German participation on the Eastern Front in 1941.